DEVA (Dilli Email Validation API) now includes the ability to detect and flag Disposable a.k.a Throwaway a.k.a Temporary email addresses. Disposable Email Address (DEA) is a temporary email address that is primarily intended for owners to hide their real email address. Users can request such an address from DEA providers like mailinator.com. This address is ephemeral – it expires after a short period. It is used by real users to circumvent a registration process where email is required without providing their actual email address. Depending on the provider, some of these addresses can be public as well, i.e anyone can access its inbox. For ex: Click here to see the public inbox of fake@mailinator.com. While initially invented to safeguard privacy, disposable addresses are now being actively abused to submit invalid data via web forms and such. Email broadcasting is a great marketing tool for genuine businesses who like to send periodic notifications to its list subscribers. Having throwaway email addresses in your recipient list means greater bounce rate given the temporary nature of such addresses. Given the frivolous nature of such addresses, its best to not have any DEA addresses in your subscription list. Another example where such addresses can do harm to your business reputation is if your business is in the lead generation industry. Imagine selling a lead with email fake@mailinator.com to your lead customers? Such an occurrence can do some serious damage to your relationship with them. 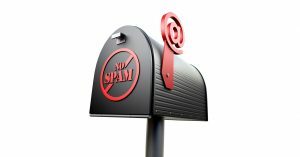 In summary, having disposable email addresses in new leads or opportunities can do serious harm to businesses. It may hurt your conversion rate and business reputation. For everything else, use DEVA (Dilli Email Validation API). 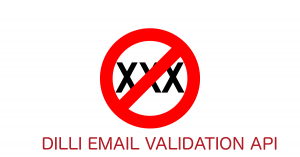 Mailgun is a great email address validation API that we once recommended and used. However, the recent decision by Mailgun to turn on the pricing switch has eroded a lot of its loyal users’ trust and confidence. 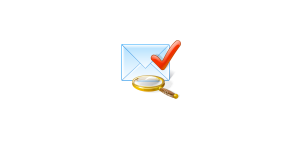 Existing users are searching for alternatives to Mailgun for a cheaper and better solution. We were in a similar boat and hopped on to another email address validation service called Mailboxlayer which turned out to be very unreliable. This prompted us to create a new product in-house that will be far more superior than any email validation API in the market with fair pricing. Thus, Dilli Email Validation API (DEVA) was born. Format Validation : DEVA ensures that email address is valid. Ex : email addresses with missing @ are not valid. MX Records’ Existence : DEVA validates that MX records exist for the domain tied to the email address. ESP (Email Service Provider) Grammar Rules: Ex : @yahoo.com emails cannot have user part less than 4 characters. We learn new ESP grammar rules every now and then and incorporate into our validation algorithm. Profanity Check : This is a distinguishing feature of DEVA. It checks email addresses for profanities and marks them invalid if found. Ex : f***you@gmail.com may be a valid email address but is marked invalid by DEVA because no sane person would use that. Patterns : There are countless patterns we discovered while validating over 50,000 emails every month for our clients that are obviously invalid emails. Ex : jondoe@gmail.com, foobar@gmail.com, noemail@gmail.com, etc. DEVA is constantly learning and building up the black listed patterns as our user base grows. 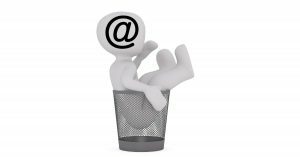 Disposable/Temporary address: Whether or not an email address is a disposable/temporary address such as @mailinator in which case its treated as invalid. Role-based address: Whether or not an email address is role-based, like info@, help@, support@ in which case its treated as invalid. Blacklisted Domains : Ex: example.com is reserved and can’t be used in practice. Therefore, all emails having this domain are marked invalid by DEVA. 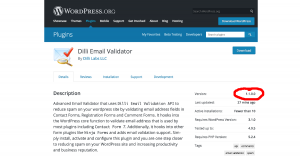 1000 email address validations will cost $8 with Mailgun but only $5 with DEVA.